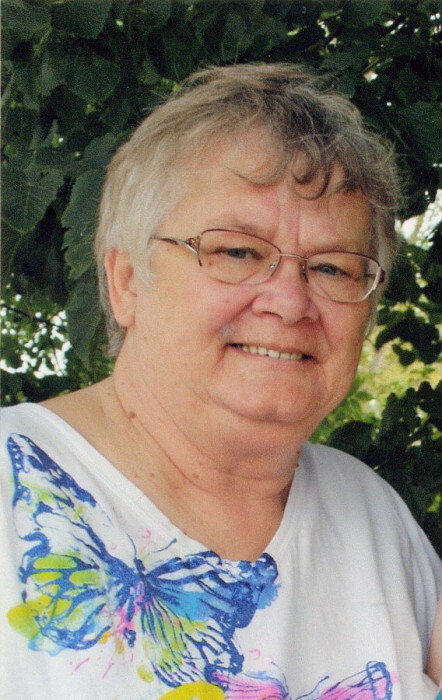 Geri Mitchell, age 70, of Milbank, died August 17, 2018, at her residence. A memorial service will be held on Saturday, August 25, at 2:00 p.m. at Mundwiler Funeral Home in Milbank. Burial will be in the Summit City Cemetery. Visitation will be held on Saturday, one hour prior to the service. The urn bearer will be Brian Morgan. Honorary bearers will be Geri’s nephews: Ben Ellsworth, Brad Ellsworth, Travis Schmeling, Calvin Pies, John Pies, and Russell Pies. Geraldine Marie (Deters) Mitchell was born on April 12, 1948, in Hartford, SD. She was the daughter of Joe and Ada (Storm) Deters. She was baptized in the Catholic faith. Geri grew up in Hartford and graduated from Hartford High School in 1966. She was united in marriage with Dennis Allen Mitchell on October 13, 1978, in Hartford. Geri and Dennis lived in various locations due to his construction career. They were blessed with a daughter, Rebecca. They eventually moved to Summit, Wilmot, and Milbank. Dennis passed away on February 4, 2005. Geri worked for Dacotah Inc. for several years. She later worked many years for Montage in Milbank, before her retirement. Geri was an avid reader and enjoyed spending time on her computer. She was a talented seamstress and enjoyed painting and embroidering on dishtowels and pillowcases. She loved music and always enjoyed concerts. She looked forward to Friday evenings at the VFW and occasional casino outings. Most importantly, Geri loved her daughter and her extended family. Left to cherish her memory are her daughter, Becky Unsell (and fiancé, Brian Morgan) of Sioux Falls, SD; one sister, Sheryl Larson of Sioux Falls, SD; mother-in-law, Ila Mitchell of Summit, SD; three sisters-in-law: Irene (David) Pies of Aberdeen, SD; Joann Schmeling of Kansas City, KS; and Paula Ellsworth of Atlanta, GA; as well as nieces, nephews, other relatives and friends. She was preceded in death by her parents: Joe and Ada; husband, Dennis; father-in-law, Paul Mitchell; brother, Anthony; sister, JoAnn; and brother-in-law, David Schmeling.